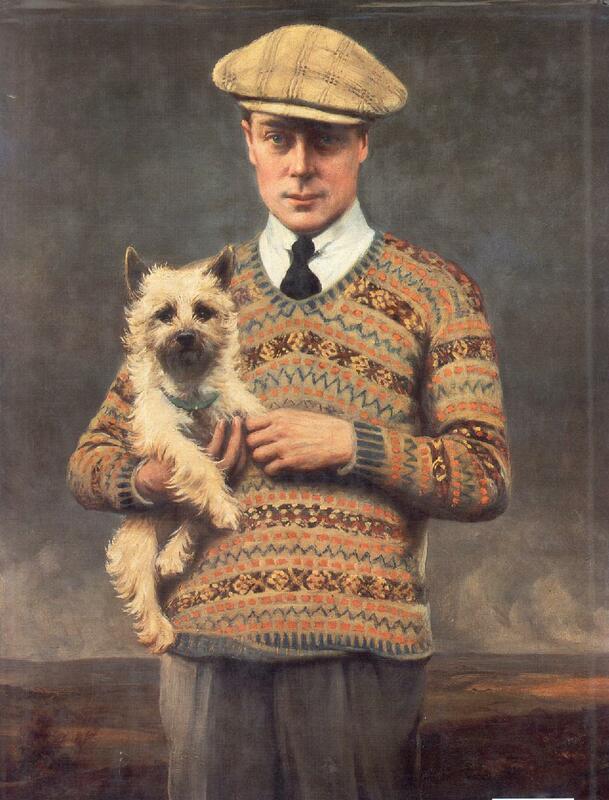 The Prince of Wales’ full name was Edward Albert Christian George Andrew Patrick David Windsor but he went by David until he was crowned Edward VIII in 1936. “If there were no God,” said Voltaire some little time before he embraced Catholicism, “it would be necessary to invent Him.” Today the apparel industry echoes with religious fervor, “If there were no Prince of Wales, it would be necessary to invent him.” The National Association of Clothiers and Furnishers, during their meeting in Atlantic City in February of 1932, unanimously agreed that, of all the men in the world, England’s gallant Edward Albert alone deserved the title “Beau Brummel.” The one other male, it was naively recorded, who approached the Prince even remotely in the matter of influence was insouciant Mayor James Walker. And their report neglected to state whether the power exerted by this blithe individual should be praised as beneficial or condemned as corrupting and evil because of its jazzy sausage-causing lines and Broadway eccentricities.